susie has read 36 of 50 books. susie read 50 books of her goal of 50! susie read 51 books of her goal of 50! Susie Ghahremani is a graduate of the Rhode Island School of Design. Susie independently designs a whimsically illustrated stationery and gift brand titled Boygirlparty®, one of Etsy's most popular shops. 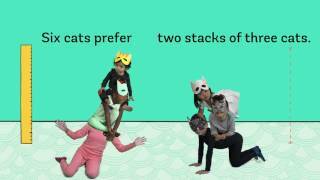 Her debut as author-illustrator -- STACK THE CATS -- was named Best Book of the Year by both Kirkus and Amazon! A Kirkus starred review declared it "a book that can expand children's thought processes." ALA Booklist says her new book is -- BALANCE THE BIRDS -- "a sophisticated mathematical concept... made easily and enjoyably understandable." Her illustrations have been commissioned by the New York Times, Target, Bank of America, and Martha Stewart, to name a few. She is the illustrator of the highly acclaimed nature book series I LOVE DIRT Susie Ghahremani is a graduate of the Rhode Island School of Design. Susie independently designs a whimsically illustrated stationery and gift brand titled Boygirlparty®, one of Etsy's most popular shops. Her illustrations have been commissioned by the New York Times, Target, Bank of America, and Martha Stewart, to name a few. She is the illustrator of the highly acclaimed nature book series I LOVE DIRT and picture books WHAT WILL HATCH and WHAT WILL GROW, written by Jennifer Ward, celebrated with starred reviews from the School Library Journal and Publisher's Weekly. She has received art awards from the Society of Illustrators Los Angeles, American Illustration, the Alternative Pick, Giant Robot, and was selected as a featured artist and mentorship award winner at the Society of Children's Book Writers and Illustrators. It’s Small Business Saturday! While I’ve been busy working on my next books and haven’t kept the blog as current as I ought to, I’d be remiss not to mention how much direct support helps me as an artist. It enables me to keep investing in my own artwork and product ideas, to keep trying out new ideas, and to afford important things in my life like health insurance! there’s little i love more than reading about reading, and nick hornby’s essays are perfection. Edited to add: I’m finding myself physically unable to take this book back to the library because I don’t want to part with it! i love when fiction feels true. We’d love your help. Let us know what’s wrong with this preview of A Terrible Country by Keith Gessen. We’d love your help. Let us know what’s wrong with this preview of The Overstory by Richard Powers. self conscious but teeming with authenticity and a unique writing voice. honestly, it’s great to read an autobio that doesn’t follow established formats. i want to hear the lou reed story & to pet her dog. & woody allen sounds awful, not for self conscious but teeming with authenticity and a unique writing voice. honestly, it’s great to read an autobio that doesn’t follow established formats. i want to hear the lou reed story & to pet her dog. & woody allen sounds awful, not for the reasons he usually does. We’d love your help. Let us know what’s wrong with this preview of You're on an Airplane by Parker Posey. We’d love your help. Let us know what’s wrong with this preview of A Red Herring Without Mustard by Alan Bradley. We’d love your help. Let us know what’s wrong with this preview of The Weed That Strings the Hangman's Bag by Alan Bradley. Tournament of books commentariat, all year long! I too am glad to have found you! You are much missed! Your self-directed dedication and motivation even shows in your book lists. Yay, I'll find lots to read! Ok, I added her (and Tess!)... tell her that I'm not a crazy stalker. let's go next week! i have the week off for thanksgiving. thanks for the finch drawing. it's on the fridge! Nope. We're just kindred book luvin' spirits!